Are you only buying what you need? 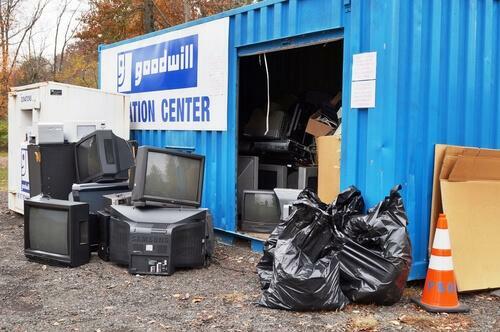 If America's favorite pastime is buying things, our second favorite is throwing those things away. According to the Environmental Protection Agency, Americans chucked out around 254 million tons of trash in 2013. Only a little over a third of that material (approximately 87 million tons total) was recycled and composted, which naturally raises the question: did every ounce of the remaining 170 million tons of garbage really need to be thrown out? People who adhere to the zero waste lifestyle think the answer is no. And they think a little bit more about the things they use and buy so they produce as little waste as possible. Some adherents of the zero waste lifestyle even live without trash cans in their home — the low-impact living equivalent of tightrope walking without a net. So how does the zero waste lifestyle work? Here’s the fundamental goal of the zero waste lifestyle: throw out as little landfill-destined garbage as possible. Recycling is acceptable, but you ideally want to produce no “capital T” Trash. While producing literally no garbage might be impossible unless you’re willing to become a subsistence farmer in a gas-heated cabin in the woods, you can get shockingly close. One woman, Lauren Signer of New York, was able to fit all of non-recyclable, non-compostable trash over the course of two years of living into a single mason jar. Important note: the zero waste lifestyle is different from the minimalist lifestyle (though the two are obviously related). Minimalists strive to live with as few possessions as possible, usually sticking to simple basics like clothes, a toothbrush, and a Macbook to blog about minimalism. Someone who’s trying to live with zero waste might not care about how much they buy, so long as they actually use or recycle everything that shows up on their credit card statement. It’s not necessarily about buying less stuff — it’s about only buying stuff that you need. First, cut your shopping down to stuff you actually use. If possible, buy things that have been recycled and can be recycled. Second, reuse your stuff as much as possible. Third, if you must toss something out, recycle it or give it to someone who needs it. Here’s how you can apply these three steps to every room in your house. Sometimes, it feels like you ought to have some item in your bathroom — but you don’t, really. For example, most bathroom drawers have a bag of cotton balls in them, even though they might only be used when your kindergartener wants to make clouds for his landscape watercolor painting. Whenever you go shopping for items in your bathroom, ask yourself, “When specifically will I use this?” If you’re coming up blank, then skip it. If you reuse something, try to give it the longest lifespan possible. That means maybe spending a little bit more in order to get something that will stay in your bathroom for as long as possible. With regular use, you can keep a well-constructed towel for between 5 to 10 years before it starts to come apart. When shopping, opt for two-ply cotton towels — they are more durable than single-ply rayon towels. This one might be a little tougher depending upon where you live, but many urban areas have soap refilling stations that allow you to reuse the same soap containers over and over again. For example, in San Diego, California, you can go to the Blue Dot Refill station to load up on suds. As the zero waste lifestyle becomes more popular, more places are popping up that allow you to get more cleaning supplies in the same way you refill on gas. Of course, you could also simply make your own soap. The idea that store-bought dish soap is the only soap is a big lie perpetuated by Big Lye. 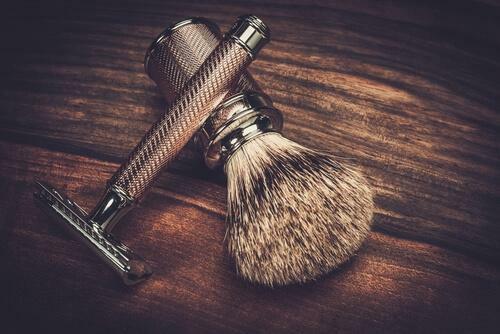 If you’re a man who likes a clean shave, a reusable safety razor allows you to use less stuff and feel like a turn-of-the-century gentleman at the same time. For men and women, safety razors are an easy way to reduce trash in your shaving routine. Rather than throwing out the entire razor when you’re done with it, you simply recycle the old blades and replace them with sharpened ones. 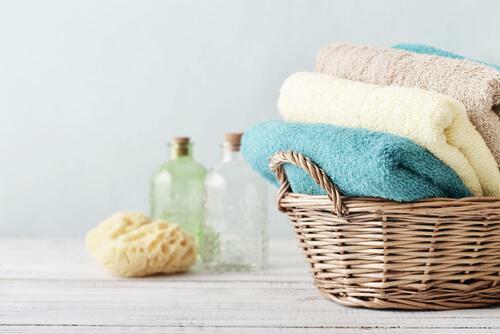 Once the fibers of your towel become so frayed that they’re more useful for moving water around your body than actually drying off, that doesn’t mean that it’s time to toss them. You can simply downgrade your towels to washcloths by cutting them into squares. Toilet paper made from recycled materials is so common now, you can usually find a few eco-friendly, double-ply choices at your local chain grocery store. Seventh Generation makes an option that you can find at most stores. Most brush handles are made of polyurethane, which will sit in a landfill long enough for anthropologists 3,000 years from now to discover and learn about our primitive hygiene habits. Fortunately, you can buy brushes made of wood or bamboo. Not only do they look cooler than the plastic ones, but they’re also biodegradable, so you can toss them into your compost pile once you stop using them. There are two questions to ask when buying groceries: “Am I actually going to eat all of this?” and “Does this food come in a recyclable container?” The first one is obvious enough: if you buy carrots with the hope that you’re going to use them some time during the week, but never do, then maybe it’s time to admit carrots aren’t for you. Instead, plan your meals ahead of time, and only buy the ingredients you need for them. The second is a little more complicated. 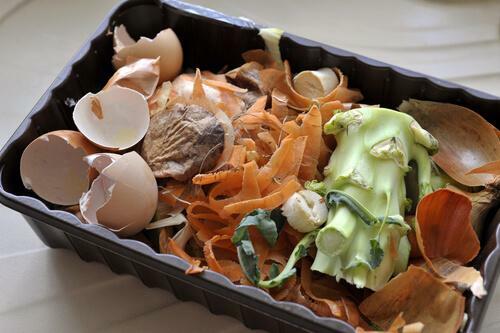 Many grocery store foods come wrapped in plastic containers that aren’t recyclable. It’s best to avoid these, or choose a more zero-waste-friendly alternative. For example, if you’re a fan of ham sandwiches, you could choose to not buy the pre-sliced ham that’s wrapped in plastic. Instead, ask the friendly man or woman behind the butcher counter to slice some ham for you. The butcher paper it will be wrapped in can be composted. “Paper or plastic” is a false choice. In fact, plastic bags are so bad for the environment that they are slowly being phased out by countries and states all over the world. They’re even banned in China, a country that normally struggles with lax environmental regulations. 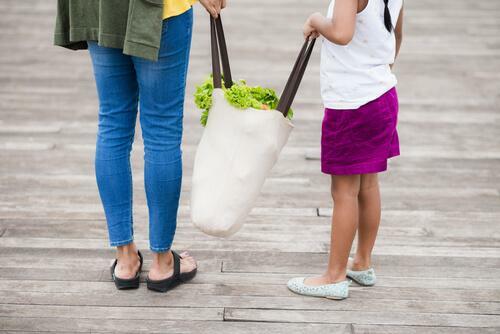 If you want to think outside the bag, get reusable cloth bags. Most grocery stores even offer their own models, and they’re as affordable as a buck a bag. Just hand them to your bagger when you roll up the cashier, and they’ll put your grocery haul into your reusable bags. Pro tip: after you put your groceries away, walk back to your car to store your cloth grocery bags in your trunk. Since people normally only go grocery shopping a couple of times every month, they’re easy to forget if you store them in a cupboard in your kitchen. If you’re accustomed to using paper napkins for the sake of reducing your laundry load, consider switch to reusable cloth napkins instead. Not only are they a little better for the planet, but they will also make every dinner feel more fancy. The compost pile is the catchall answer to the question, “What should I do with bio waste?” This is a pile of used organic materials from your meals (the stalks of carrots, egg shells, uneaten leftovers, etc.) With time, it will break down and turn into dark, fertile soil — which is perfect for fertilizing your garden or home plants. Those classic green and yellow sponges are handy — but they’re made of non-recycled, oil-based chemicals. A better option is cellulose sponges, which can help you scrub your dishes to perfection while reducing your trash. Once upon a time, mending clothes that had holes in them was considered an essential, adult household skill — right up there with cooking, cleaning, and politely turning away visitors who want to convert you to their religion. But sadly, people seem to act like the smallest tear makes a article of clothing unusable. The truth is that you can easily extend the life of your clothes just by getting more familiar with how a sewing machine works. The IKEA catalog is a cruel siren, beckoning you to buy affordable furniture that you don’t really need. So only buy that chaise lounge if you think you really will use a chaise lounge. Bed sheets that are no longer welcome on your bed can be reused in dozens of different ways. You can take them to the park to lay out and have a picnic. You can let your kids make a fort with them. You can use them to wrap up dishes for safe shipping. You can hang them on a clothesline and project a movie on the side of your house with them. If you get creative, you get a lot of practical use out of them before you donate them. Getting a wardrobe upgrade? Your local Goodwill would be happy to take your old clothes from you. 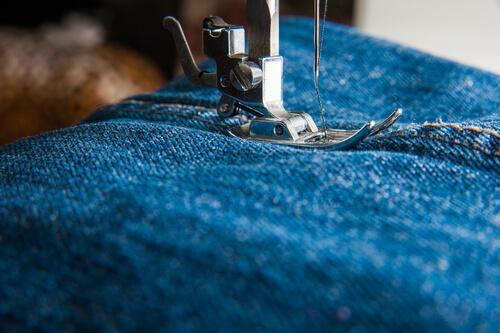 In addition to extending the lifespan of your clothing and reducing your waste, you’ll also help people in your local community learn job skills. Many charitable organizations who help clothe needy families also accept clothing donations. For example, Baby2Baby has a national network of organizations that can accept donations of children’s clothing, which they then give to children in low-income families. Your local charitable thrift stores would also be happy to accept your unused coffee table. If it looks good enough for someone else to use, then it’s probably good enough to sell. Sometimes, when something is obviously old or busted, such as aging electronics, it might be tempting to simply consign it to the landfill. But if you want to give something away for free, there’s almost always somebody who is willing to take it off of your hands — and you can do it much more effectively than hauling it to your sidewalk and slapping a “FREE” sign on it. Two of your best options are freecycle.org and the old workhorse of social media: craigslist. Just list any item you want on there for free pick up, even if it’s broken and you think nobody will want it, and you’ll be shocked by how quickly you’ll get emails from people who are eager to whisk it away. Like any life change, the zero waste lifestyle will take some extra thought at first, and it’ll feel awkward for the first two or three weeks. But after you get comfortable with it, you’ll be more in harmony with the stuff you buy — and you’ll enjoy the money you’ll save. Do you have any tips on making the garbage can unnecessary? Let us know in the comments. "After you get comfortable with the zero waste lifestyle, you’ll be more in harmony with the stuff you buy — and you’ll enjoy the money you’ll save." Hurricane Matthew was likely more destructive because of climate change. Earth’s carbon dioxide levels are at the highest they’ve ever been — and there’s no coming back.